By the Omnipresence of God is meant that God is everywhere present. 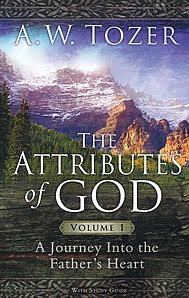 This attribute is closely connected with the omniscience and omnipotence of God, for if God is everywhere present He is everywhere active and possesses full knowledge of all that transpires in every place. This does not mean that God is everywhere present in a bodily sense, nor even in the same sense; for there is a sense in which He may be in heaven, His dwelling place, in which He cannot be said to be elsewhere. We must guard against the pantheistic idea which claims that God is everything, while maintaining the Scriptural doctrine that He is everywhere present in all things. Pantheism emphasizes the omnipresent activity of God, but denies His personality. Those holding the doctrine of pantheism make loud claims to philosophic ability and high intellectual training, but is it not remarkable that it is in connection with this very phase of the doctrine of God that the Apostle Paul says “they became fools”? (Rom. 1.) God is everywhere and in every place; His center is everywhere; His circumference nowhere. But this presence is a spiritual and not a material presence; yet it is a real presence. (1) Scriptural statement of the fact. Jer. 23:23, 24-“Am I a God at hand, saith the Lord, and not a God afar off? Can any hide himself in secret places that I shall not see him? saith the Lord. Do not I fill heaven and earth? saith the Lord.” Did the false prophets think that they could hide their secret crimes from God? Or that He could not pursue them into foreign countries? Or that He knew what was transpiring in heaven only and not upon the earth, and even in its most distant corners? It was false for them to thus delude themselves--their sins would be detected and punished (Psa. 10:1-14). Psa. 139:7-12—“Whither shall I go from thy Spirit, or whither shall I flee from thy presence,” etc. How wondrously the attributes of God are grouped in this psalm. In vv. 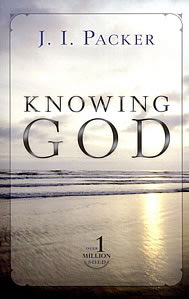 1-6 the psalmist speaks of the omniscience of God: God knows him through and through. In vv. 13-19 it is the omnipotence of God which overwhelms the psalmist. The omnipresence of God is set forth in vv. 7-12. The psalmist realizes that he is never out of the sight of God any more than he is outside of the range of His knowledge and power. God is in heaven; “Hell is naked before Him”; souls in the intermediate state are fully known to Him (cf. Job 26:2; Jonah 2:2); the darkness is as the light to Him. Job 22:12-14—“Is not God in the height of heaven? . . . . Can he judge through the dark cloud? Thick clouds are a covering to him that he seeth not,” etc. All agreed that God displayed His presence in the heaven, but Job had inferred from this that God could not know and did not take notice of such actions of men as were hidden behind the intervening clouds. Not that Job was atheistic; no, but probably denied to God the attribute of omnipresence and omniscience. Acts 17:24-28—“For in him we live, and move, and have our being.” Without His upholding hand we must perish; God is our nearest environment. From these and many other scriptures we are clearly taught that God is everywhere present and acting; there is no place where God is not. This does not mean that God is everywhere present in the same sense. For we are told that He is in heaven, His dwelling-place (1 Kings 8:30); that Christ is at His right hand in heaven (Eph. 1:20); that God’s throne is in heaven (Rev. 21:2; Isa. 66:1). We may summarize the doctrine of the Trinity thus: God the Father is specially manifested in heaven; God the Son has been specially manifested on the earth; God the Spirit is manifested everywhere. Just as the soul is present in every part of the body so God is present in every part of the world. (2) Some practical inferences from this doctrine. “God is never so far off, As even to be near; He is within. Our spirit is the home He holds most dear. To think of Him as by our side is almost as untrue, As to remove His shrine beyond those skies of starry blue.”--Faber. The omnipresence is not only a detective truth--it is protective also. After dwelling on this great and awful attribute in Psalm 139, the psalmist, in vv. 17, 18, exclaims: “How precious are thy thoughts to me..... When I awake I am still with thee.” By this is meant that God stands by our side to help, and as One who loves and understands us (Matt. 28:20).